Carnegie Mellon University’s Lisa Murphy may be well known as a basketball superstar, but she is making a name for herself off the court as well. Murphy is the 2017 recipient of the Dietrich College of Humanities and Social Sciences’ Gretchen Lankford Prize. Murphy plans to pursue a master’s degree in special education and teach children between preschool and first grade. She is particularly interested in understanding how children on the autism spectrum learn and develop. According to Sharon Carver, Murphy has found her niche teaching in early elementary inclusive classrooms. Murphy has interned in an autism support classroom at The Children’s Institute of Pittsburgh and is currently a teacher’s assistant in an inclusive first grade class at the Environmental Charter School. Outside the classroom, Murphy is the vice president of the CMU chapter of the Psi Chi psychology honor society and a member of Phi Beta Kappa. She has organized the 3v3 basketball tournament for the Special Olympics at CMU, helps clean riverfront trails and delivers meals to the homeless. And she has established a reputation as the greatest basketball player in CMU history. Carver believes these diverse activities will help Murphy become a better teacher. “As a scholar-athlete, Lisa has also developed her leadership and teamwork skills, so she is poised to combine her personal passion with a proactive and productive approach to improving special education during children’s foundational years,” said Carver, the director of CMU’s Children’s School and Murphy’s adviser. Murphy has been accepted to three of the top master’s programs in special education. 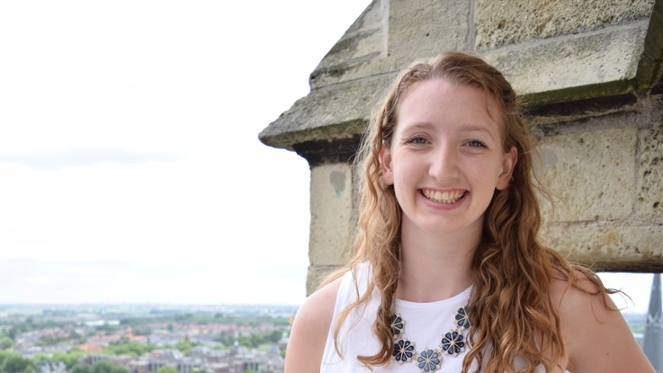 She believes the Lankford Prize will positively impact her future goals. “It serves as validation that my ambitions and goals to enter the field of teaching are meaningful and promising,” said Murphy.